Recently we were going through the attic looking for something and came across a stack of old photos. I was so smitten with this one. 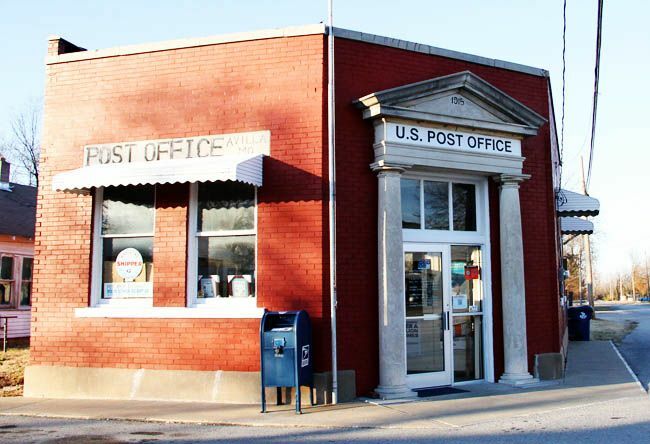 This is a post office we drive past on our way to and from Missouri. And I've always wanted a photo of it. So last weekend on my way home from my girl's getaway, I stopped in the middle of the road (for real), hopped out, snapped one quick photo, then jumped back in my car and moved on. This is exactly how it looks today. I would love for this to be in our little town! I love buildings with a sense of nostalgia. 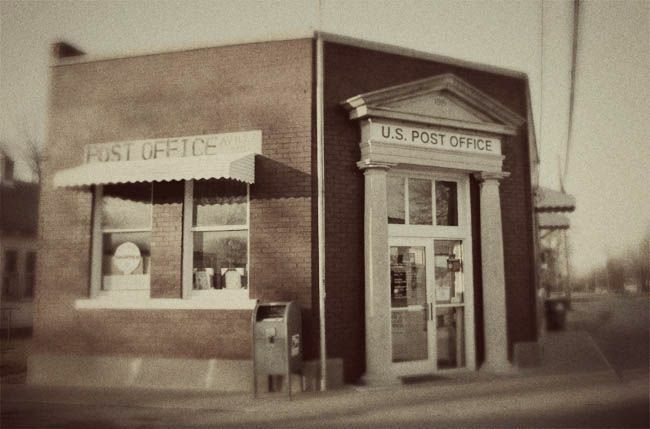 cutest little post office. and dont you love that in small towns you can hop out in the middle of the street and have no fear of getting ran over? Love small towns! One day when we are old and grey I want to travel across the country stopping and taking pictures at fun little buildings in cute small towns along the way. And old barns. I am a sucker for old barns.